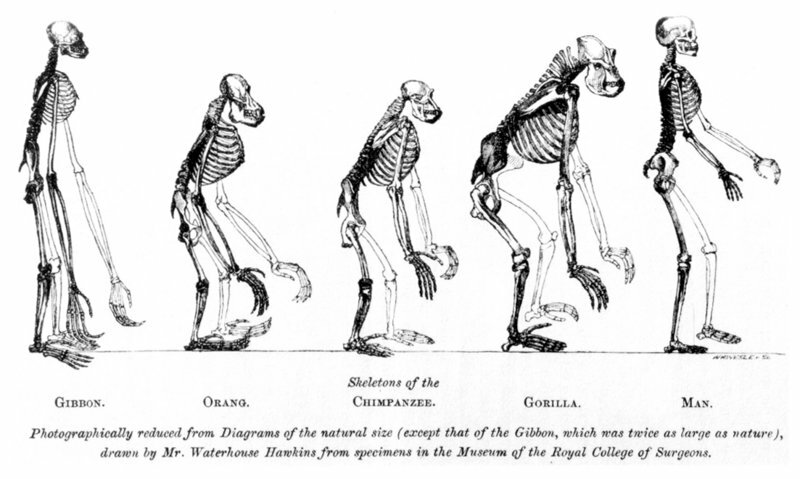 Frontispiece to Huxley's Evidence as to Man's Place in Nature (1863), comparing the skeletons of various apes to that of man. The copyright of this image has expired. As such it is in the public domain. This applies to the European Union, the United States and those countries with a copyright term of life of the author plus 70 years. current 21:52, 21 October 2008 800 × 479 (89 KB) Temlakos Frontispiece to Huxley's Evidence as to Man's Place in Nature (1863), comparing the skeletons of various apes to that of man.